Since I had the day off yesterday, I took advantage, and headed over to my favorite movie theater (iPic of course) to watch the new Earth day film, Disneynature’s Bears! I am the biggest animal lovers that I know, and I always look forward to the Disneynature films every year. It is so important to educate ourselves about animals. They bring so much joy to people, and ultimately, make the world go ’round along with us humans. The narrarator, John C. Reilley (you may know him from Stepbrothers and Wreck It Ralph) did an amazing job at adding some humor into the dialogue. I was giggling like crazy, and noticed the kids in the theater were too. This is great for the little love bugs to keep them more entertained, as opposed to listening to what sounds like a teacher blab away about animals. Speaking of little love bugs, I feel this movie is perfect for kids of all ages, being that the vocabulary was mostly simple. I would probably go over the food chain with my little one just so they understand that fish are usually eaten by bears. This movie can also be used in the classroom. 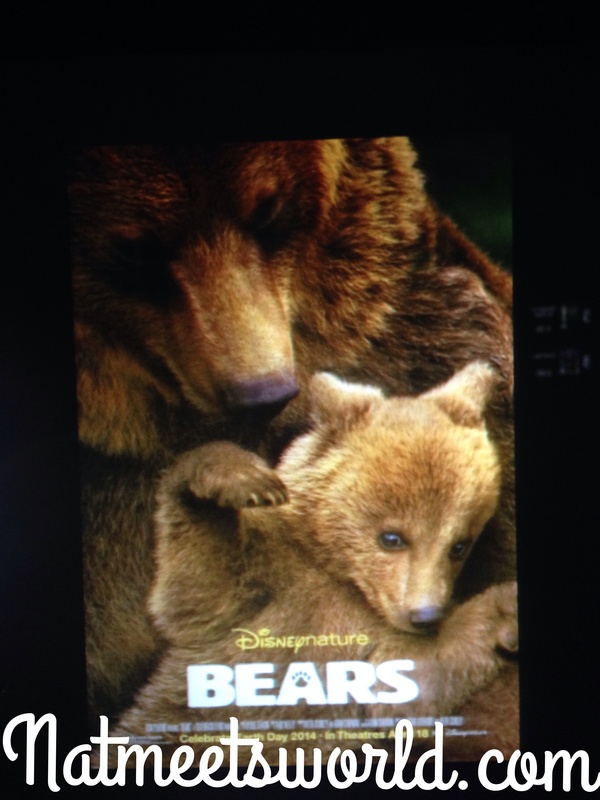 I would recommend this film for second grade being that they review animal habitats and food chains at this level. Fourth grade students would also benefit from this movie because we learn about landforms, and this film provides great arial views of alluvial fans, weathering, and erosion. One common question amongst parents is always, “Do any animals violently die in these films?” The answer is no. The only ‘violence’ shown is fish being eaten and bears playing which each other (which can look like fighting). Did you know that Disneynature provides teachers with and educator guide and activities on every Earth day film they have made? I really love using this in my class prior to watching the film because it gives them a strong foundation of background information that they can apply while watching the film. It also provides a higher level of comprehension as to what the film is demonstrating, hence, less questions for you to answer. Whether you are a teacher or not, you can still access this guide here and try it out with your little ones. The cameras used in the film were AH-MAZE-ING (and that’s an understatement). Every water droplet, fur on the bears, and even the texture of the landscaping was so clear and vivid which made for a beautiful sight. I was truly impressed by this! Don’t wait to watch this film! If you head over to the theater this weekend to watch Bears, Disney will make a donation to protect our national parks on your behalf. 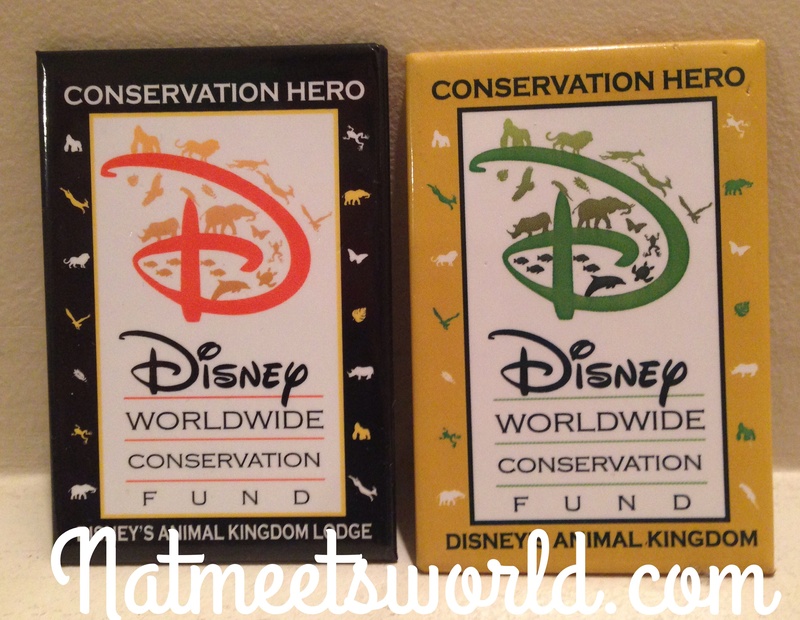 If you are visiting the Animal Kingdom Lodge and/or Animal Kingdom, be sure to donate to Disney’s Conservation Fund. This allows for further research and the money will allow animals to be saved from being endangered. I love to donate to this organization because it has a special place in my heart. If you love animals, this is the perfect organization to donate to. For more information on past Disneynature films, check out the Disneynature website here for more ideas and pictures. Don’t forget to follow Disneynature on Facebook and Twitter. For some behind the scenes fun, be sure to click here to see how they filmed this amazing film. Because the film had humor, compassion, and heart warming moments, I give it five out of five stars! Did you check out Bears? What did you think? Comment below!